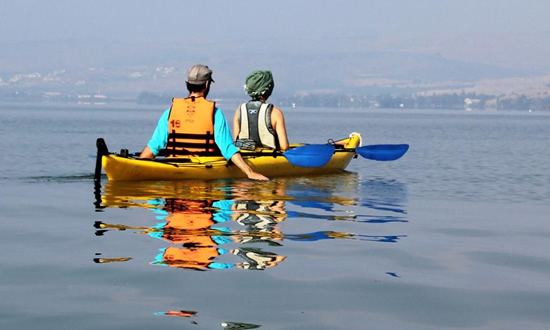 Your guides will give a short orientation talk on the Sea of Galilee as well as instructions on paddling and safety precautions. 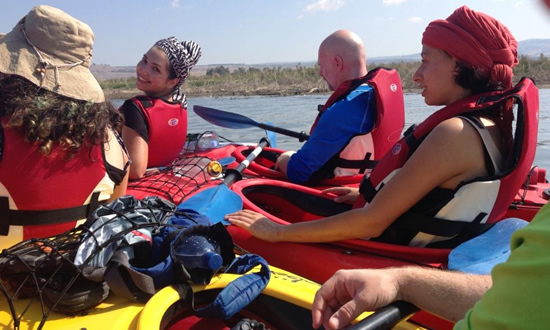 Upon entering the water we will paddle the Jordan Delta, near the ancient fishing village of Bethsaida, birthplace of Christ’s apostles, Peter, Andrew and Phillip. We will spend some time observing the huge variety of bird and aquatic wildlife which live in this part of the lake. Special Walkonwater waterproof Bird guide helps you to identify Herons, Kingfishers, Cormorants and many bird inhabitant of the lake. We continue our paddling another 2 Km. which will bring us to the Church at Capernaum, allegedly the spot where Christ chose his twelve apostles. Here we will partake of a simple open-air breakfast in the breathtakingly beautiful garden of the Greek Church. 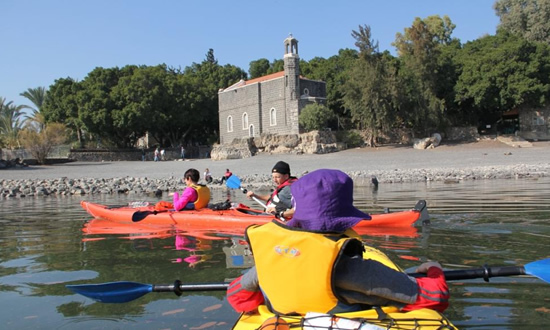 Back to the kayaks, we will continue paddling about 3 Km south to the Church of the Primacy of St. Peter, where Jesus entrusted Peter with continuing his work and so to lay the foundations of the Christian religion. Depending on time we will take a short walk which will bring us to the Church of Loaves and Fishes in Tabgha, where we can see the world-famous mosaic of the Miracle of the Loaves and Fishes which more than anything, symbolises the miracle of the feeding of the 5000. Another 1 Km paddling will bring us to the Pilgerhaus, Tabgha where we can see the fantastic bamboo chapel as well as enjoy a cold beer and German Apple strudel. Entrance fee to all sites. Dry and fresh fruits for boosting energy. Sandals or bootees for walking in shallow water. Waterproof clothing (jacket in winter time). Money for small extras (drinks etc). Our guides reserve the right to postpone any trip due to wind conditions being too strong for the level of the group. 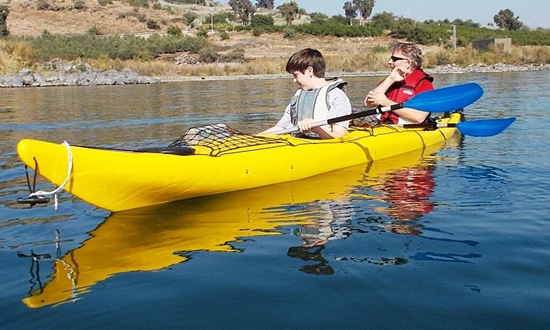 Walkonwater Kayak supports our guide’s decisions.